The candidates should have completed 10+2 / HSC or equivalent in Science stream. The candidates should have completed 10+2 / HSC or equivalent with 45% in Science stream. The candidates should have completed Graduation in any discipline or equivalent, as per the guideline of Govt.of Rajasthan. Min. 60% is needed to get admission in this college. Through JEE ranking also you can get entry or by direct entry whose seats are limited. I also took direct admission. No cutoff is needed for any specific course you can do whatever you want. 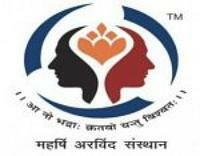 The eligibility criteria in Maharishi Arvind Institute of Engineering & Technology, Jaipur is to score 50% or above in 12th-grade. Graduation degree is required and I didn't give any entrance examination. There is no cutoff system in my collage. candidates must score 10+2 with minimum of 45%. Eligibility Criteria for Admission is 12th pass. Admission Procedure for my course is Above 70%. Entrance Examination is JEE-Main. Typical Cutoffs is 15+ Marks. What is the Admission Process of Maharishi Arvind Institute of Engineering & Technology, Jaipur for B.Tech in Computer Science? What is the admission procedure & fee structure for B.Tech (Mechanical) in Maharishi Arvind Institute of Engineering & Technology, Jaipur?